The NUS Disabilities Department focuses on campaigning for the rights of students with disabilities. Disabilities is a broad term which encompasses people with physical, mental, psychological, neurological, learning disabilities or access and medical conditions. The Department also advocates for the rights of student carers. The campaign will connect to the broader education campaign and promote National Days of Action as well as engaging with a number of modes of activism such as lobbying and letter-writing, photo or video campaigns, social media campaigns, petitioning, and art-based activism. The Department will be focused on engaging the national student movement with accessible and creative forms of student activism. The Disabilities Department will present a submission to the Federal Government based on the campaign. 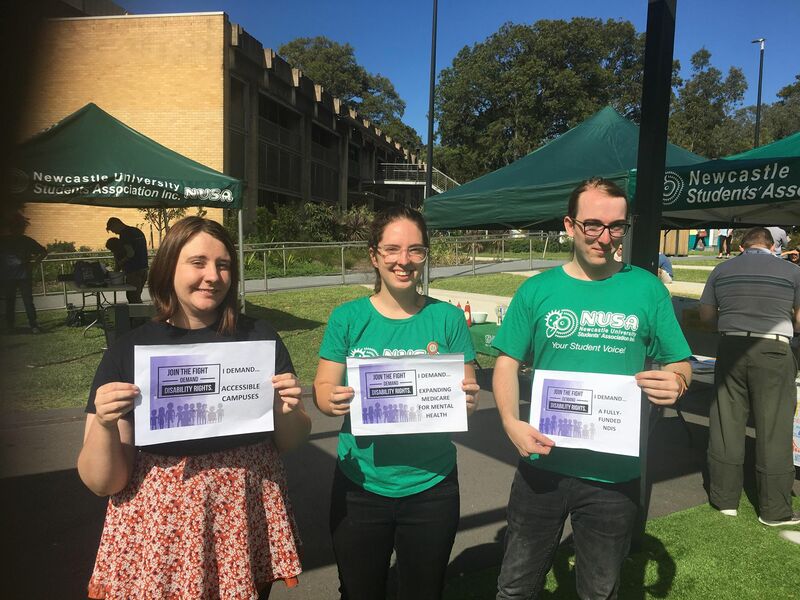 The Department will further coordinate a national response to the Federal Budget based on the issues relating to students with disabilities, and working with the other NUS Departments. 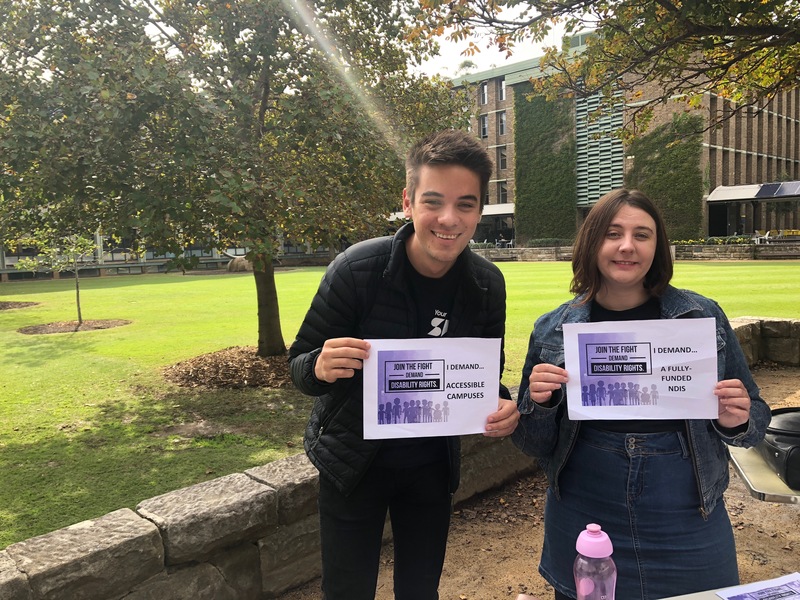 Throughout Semester One the Disabilities Department will be building a relationship with Disability Officers and Collectives in order to support them. The Department will also be engaging with campuses who do not have Officers, Reps or Spaces to assist in the establishment of them. The NUS will be working with campus Disability Officers to establish an inaugural NUS conference for students with disabilities, office-bearers and collective members to come together and organise based on issues on their campus for the September break. In Second Semester the Disabilities Department will coordinate Spoons Weeks during Mental Health Awareness Month. The Disabilities Department in 2018 will engage with the Tertiary Education Quality Standards Agency (TEQSA) and the National Tertiary Education Union to assess how we can ensure higher education, in particular curriculum and policy, is accessible for students with disabilities. The NUS Disabilities Department will develop by the end of 2018 a handbook on accessible activism informed by student activists. If there’s anything you’d like the NUS Disabilities Department to do or focus on, feel free to get in touch through the contact details at the top of the page.